As the first quarter of this year came to a close, I could not help but continue to be amazed, delighted and humbled at seeing what we achieve at XFE for the armed forces community on a regular basis. From the word ‘go’, the team’s focus remains firmly on building on the strength of what we have built so far – finding new synergies with our partners in the Military, Corporate, Charities and Government, while creating entrepreneurial opportunities for our beneficiaries. As a team, we have not had much time to stop and reflect, as our pace is fast and our days are full. However, the rewards are many and continuous – including the unique initiatives we are launching and the fantastic businesses we are helping to grow. It was only in February that we surpassed yet another milestone, having now lent over £11 million to the Armed Forces community to help veterans and their families to start their own businesses. Yet, since then, we have had more milestone events, initiatives and outstanding moments. Such has been the backdrop for the first three months of the year – great stepping stones on which to progress our plans and ambitions. Late last year, I had engaged Lord Digby Jones in discussions about ways in which he could support XFE. True to his word, he visited our offices in Birmingham early in January where he met with the team and pledged his support as a member of our advisory board as well as a business mentor. With his wealth of experience in business, and his past and present roles as an active and vocal ambassador for trade and industry, his support for XFE will be invaluable and I am delighted he is on board. 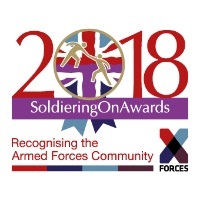 From support to celebrations, January was off to a flying start as we announced this year’s Soldiering On Awards (SOA) finalists. This year, the Awards include three new Business Award Categories in partnership with X-Forces Enterprise, which recognise the exceptional accomplishments of former Armed Forces members and their families within the business community. The selection of talent was outstanding and I am proud to have been part of the distinguished panel of judges, led by SOA Awards President General the Lord Dannatt and Vice President and Co-Chairs of Judges, Debra Allcock-Tyler. 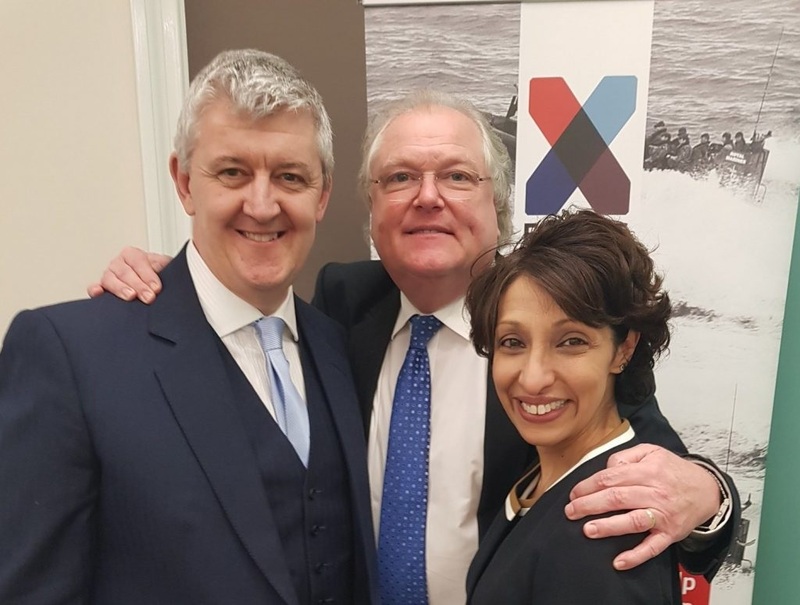 We followed up the celebration with a special reception on February 8th at the House of Lords, where we welcomed 170 guests including our 41 SOA finalists and nominators, as well as our three XFE awards corporate supporters: Cisco, Landmarc and Sage. SOA is a unique platform from which we can acknowledge and publicise the success of our Armed Forces businesses across many sectors, and gain valuable visibility outside the community. As the Awards night draws nearer, we are working closely with the SOA team. We now look forward to celebrating with award winners and finalists on April 20th. There has been an increased spotlight on the resettlement of ex-military into civilian and business communities, with a series of high-level and ground-breaking meetings that discussed frameworks, models and opportunities. It is an important agenda that continues to be very relevant so it was with pleasure that I accepted the invitation to present a workshop at the inaugural Defence Resettlement Conference early in March. This gathering brought together stakeholders from across the Government, Academia, Public, Private, the Third Sector and MOD. It included a series of thought-provoking discussions and workshops, focussing on developing and delivering the model for the future resettlement service framework. The first quarter was also dedicated to highlighting female talent within our communities. On the eve of the International Women’s Day, I participated in the #IWD18 Celebration organised by the Asian Business Chamber of Commerce in Birmingham. I was one of the key note speakers, and it was a privilege and an honour for me to stand in front of such a talented audience and talk to them about the early days – my childhood and my career journey – both of which have their roots in Birmingham. Women empowerment and diversity are topics very close to my heart, and the fact that I was able to share my story that evening was a wonderful experience. Still celebrating women and their capacity for achievements, a few days later we launched the first Enterprise Discovery and Business Skills Course for Armed Forces Widows, Widowers and their Dependents together with the Forces Pensions Society Charitable Fund. 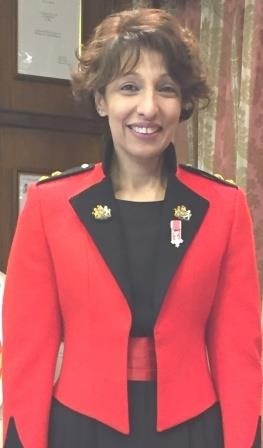 This bespoke course, organised in close collaboration with the four Widows Associations (Royal Navy & Royal Marines, the Royal Air Force, the Army Widows and the War Widows Associations) will provide them with the support and necessary training in business skills to embark on their entrepreneurial journeys. More crucially, it will help the community of widows and their dependents to build confidence in their personal abilities and start a new phase in their lives. We are very fortunate to have Lady Dannatt as our patron, as well as the ongoing support of our XFE community from the MOD, Government, Charities and Corporates, not least NatWest who hosted the launch. With our first cohort starting in May 2018, this is yet another important initiative for me that will impact the community and empower these remarkable and courageous women. Throughout all this, our work relating to beneficiaries’ training and mentoring – provided through XFE in collaboration with our partner Charities, Corporates and associates – supports communities throughout the country. Our beneficiaries continue to be in the spotlight, as they are featured in the media, sharing their learning and experiences. As our community grows, we are delighted to include new Corporate and Charity members. This quarter was no exception, as we welcomed London Stock Exchange and Sage to our XFE community. On a personal level, there has been immense progress on some of the initiatives I am involved in. Our sub-group International Trade and Connections at the APPG for Women and Enterprise has intensified its work, as we now move on to the collation of our findings and the drawing up of our recommendations. These will be included in a report issued by the APPG to recommend policy and actions to the Government. These are all amazing achievements, for XFE and for myself. I am proud of our progress and the fact that I can be part of such amazing initiatives that support the XFE entrepreneurs and businesses, as well as the wider Armed Forces community – and here I cannot fail to mention my reservist family now that I am a commissioned reservist. The next few months will be just as busy, and as we strengthen our XFE team I can only be excited and energised about the future.